Why were so many authors of the greatest works of literature consumed by alcoholism? 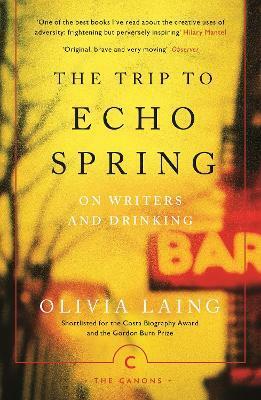 In The Trip to Echo Spring, Olivia Laing takes a journey across America, examining the links between creativity and drink in the overlapping work and lives of six extraordinary men: F. Scott Fitzgerald, Ernest Hemingway, Tennessee Williams, John Berryman, John Cheever and Raymond Carver. From Hemingway's Key West to Williams's New Orleans, Laing pieces together a topographical map of alcoholism, and strips away the tangle of mythology to reveal the terrible price creativity can exert. Illustrations note Integrated black and white photos. Olivia Laing is a widely acclaimed writer and critic. Her work appears in numerous publications, including the Guardian, Observer, New Statesman, Frieze and New York Times. She's a Yaddo and MacDowell Fellow and was 2014 Eccles Writer in Residence at the British Library. Her first book, To the River, was shortlisted for the Royal Society of Literature Ondaatje Prize and the Dolman Travel Book of the Year. The Trip to Echo Spring was shortlisted for the 2013 Costa Biography Award and the 2014 Gordon Burn Prize. Her third book, The Lonely City, was shortlisted for the 2016 Gordon Burn Prize. She lives in Cambridge.